The human-animal relationship determines how we deal with human and animal health. The history referring the healing of humans and animals to each other is long. This article, however, does not examine the history but instead focusses on the current situation beginning with the 21st century. We summarise how human and animal health co-exist currently and how they relate. 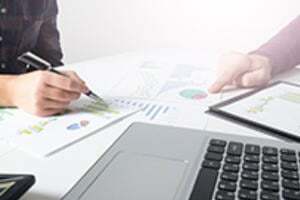 We consider that health care is structured in different entities called a health system. For instance, in human health most countries have public and private health system components with distinct roles and responsibilities. In most cases, the organisational structures of human and animal health are separate, existing within different ministries. As an example consider those systems in Ethiopia. 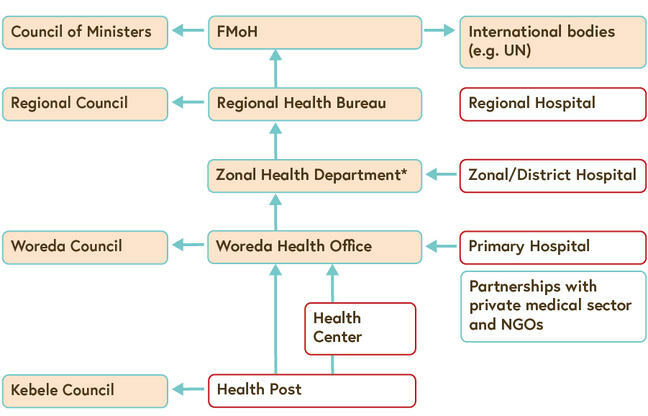 Organisation chart one shows the structure and reporting system of the Ethiopian human health system. Patients typically seek help at a health post or a health center in a village (Kebele). They may be referred to a primary hospital at the sub-district level (Woreda). For special treatments and surgery, they may be further referred to a zonal/district hospital (2nd level) or a regional hospital (3rd level). 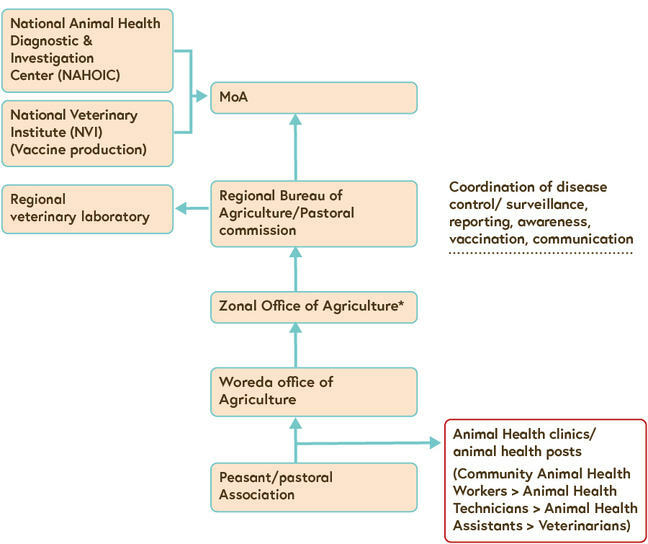 The second organisation chart shows the structure and reporting system of the Ethiopian animal health system. Sick or dead animals are reported to community animal health workers (CAHWs), who in turn may seek support from animal health technicians, animal health assistants or veterinarians. Disease surveillance is organised from the level of the province (Region) and the nation as a whole. The animal health system is less decentralised than the public health system. Do these systems connect? Where are they separate? Reflect on these questions and leave a comment in the ’comments‘ section. In the next step you will consider the health systems in your own country. And in later steps of this course you will learn about existing more integrated institutions, for example in Canada. Bresalier, M. et al. (2015). One Health in History, in: Zinsstag, J. et al. One Health: One Health, The Theory and Practice of Integrated Health approaches, Wallingford, CABI, 1-15. Zinsstag, J. et al. (2015). One Health. The Theory and Practice of Integrated Health Approaches, Wallingford, CABI.